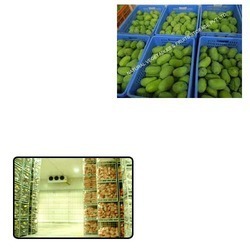 Pioneers in the industry, we offer ripening chambers, mango ripening chambers, banana ripening chambers, fruits ripening chambers and mango cold storage for agriculture use from India. We have established ourselves as a renowned manufacturer, exporter, importer & supplier of Ripening Chambers. The offered range of chambers is designed at our state-of-art manufacturing unit in compliance with international standards. These chambers are extensively appreciated by our clients for their features. 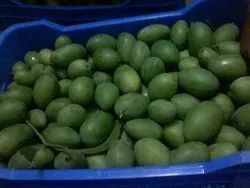 These are suitable for fruits like mango, banana and papaya and are used as forced draft cooling system for uniform ripening of fruits even in large capacity rooms. Moreover, entire range is examined by our experts on various distinct parameters before the final delivery. 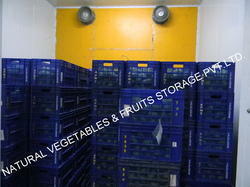 Our organization is actively devoted towards offering a wide gamut of Mango Ripening Chambers. The offered range is manufactured by our dexterous professionals using high grade raw material and advanced technology. These are widely used by our customers as an effective forced draft cooling system, which is in adherence with various quality and health standards. Owing to their indispensable features, these chambers are widely demanded by our clients. Apart from this, we offer our clients a superior range of chambers that require minimum maintenance. 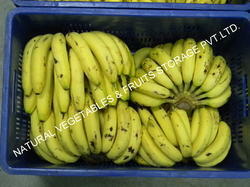 Pioneers in the industry, we are offering an excellent range of Banana Ripening Chambers. These chambers are manufactured using high grade raw material & innovative machine under the guidance of our quality controllers. Apart from this, to meet the variegated demands of our clients, we offer this range in several specifications. Owing to its brilliant features, these offered chambers are appreciated by a large number of clients. With rich industry experience and knowledge, we are offering our clients an extensive assortment of Fruits Ripening Chambers. Our experienced professionals use the latest technology and optimum quality raw material for manufacturing these chambers. This chamber is highly recognized for its unique features. In order to maintain quality, the offered range is quality checked by our quality controllers. Our valuable clients can avail these chambers from us at market leading prices.